Apple introduced Face ID with the iPhone X, a new way to secure the phone. You have questions and we'll have the answers in this FAQ. The upcoming iPhone X will use Face ID, technology that unlocks your iPhone X by using infrared and visible light scans to uniquely identify your face. The company says it will work in a variety of conditions and is extremely secure. Though no one outside Apple has yet been able to confirm how well it works. This brings up a lot of questions about Face ID. We'll work to get answers to you as you ponder whether you want to buy an iPhone X when it starts shipping November 3. Face ID a form of biometric authentication. Rather than a password (something you know) or a security dongle or authentication app (something you have), biometrics are something you are. Fingerprint recognition is also a biometric. Initially scan your face accurately enough to recognize it later. Compare a new scan with the stored one with enough flexibility to recognize you nearly all the time. Scan your face in a wide variety of lighting conditions. Update your facial details as you age, change hairstyles, grow a mustache, change your eyebrows, get plastic surgery, and so forth to still recognize you. Not allow a similar-looking person, a photograph, a mask, or other techniques to unlock your phone. If you’ve had trouble with Touch ID and your fingerprints over time, you might have concerns about whether scanning and recognizing a face is easier. It might be! What devices use Face ID? At this announcement, only the iPhone X is slated to include Face ID. Does Face ID replace Touch ID? For now, the hardware requirements for Face ID are only found in the upcoming iPhone X. All other new iPhone models and all existing ones will retain Touch ID. Apple might choose to retain Face ID as a premium differentiating feature, but based on the company’s previous patterns of high-end feature rollouts, it will likely be in both new iPhone models in late 2018, and then in the iPhone SE at some point thereafter. It would seemingly also be likely for future iPad Pro updates, but perhaps not until the second quarter of 2018 or even mid-year. What will I use Face ID for? The same things you currently do: Apple Pay, App Store purchases, and third-party apps that currently rely on Touch ID. It’s not clear how Face ID will be presented in apps that now show a fingerprint icon while actively waiting for a Touch ID confirmation. Will you have to tap a Face ID icon to engage, or can it kick in automatically? Third parties will also have access to facial mapping, but not at the level Apple uses for facial recognition. Rather, it will provide a live depth map, just as the rear two-camera systems provide in iOS 11. Face ID uses an “enrollment” process just like with Touch ID. 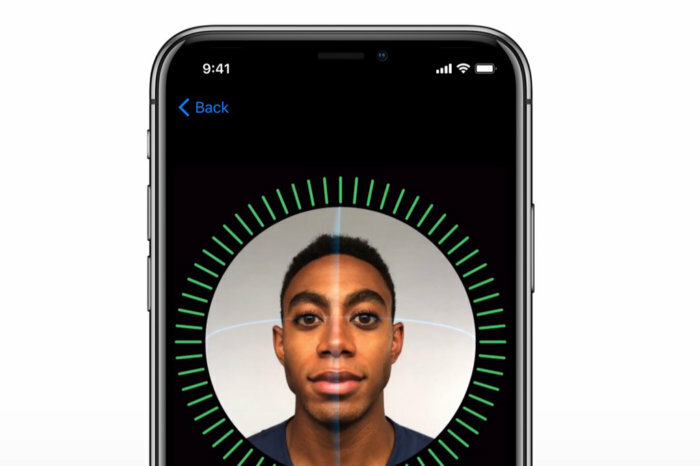 You’ll go to Settings > Face ID & Passcode and tap Enroll Face, and then the iPhone will use the front-facing camera and an infrared sensor to display your face within a circle with green tick marks surrounding it. The enrollment software will overlay quasi-3D markings onscreen to show your eye line and facial center. You’ll be prompted to move your head in a circle, while your facial characteristics are captured. Apple says the odds that someone else’s fingerprint will unlock Touch ID is 1 in 50,000, a pretty low number given there’s no way to test for that without trying. Apple says Face ID’s chance of another face matching is 1 in 1,000,000. Apple’s senior vice president of worldwide marketing, Phil Schiller, did say during the iPhone X introduction that, “The statistics are lower if the person shares a close genetic relationship with you”—a twin, ostensibly. Apple uses a combination of infrared emitter and sensor (which it calls TrueDepth) to paint 30,000 points of infrared light on and around your face. The reflection is measured, which allows it to calculate depth and angle from the camera for each dot. 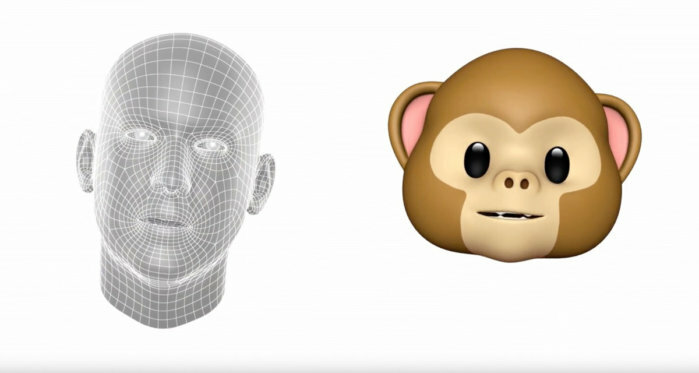 That lets it both create a kind of 3D fingerprint of your face that can used to compare against later, and use the same system for live tracking for Animoji, the talking animals heads (and piles of poo) that match your facial expressions and lip movement, and other selfie special effects. The information collected for Face ID is used for live tracking in Apple's new Animoji feature. How do I unlock with Face ID? The phone isn’t scanning all the time, thank goodness! Instead, you’ll need to wake the phone with one of several methods, which includes rise to wake or tapping the Sleep/Wake button. Then you’ll look at the phone. Apple says the infrared sensors should penetrate sunglasses, but your eyes need to be open—so kids can’t unlock the phone of a sleeping parent by sneaking into their room, unless said parent sleeps with their eyes open. To avoid unintentional unlocking, Apple says Face ID is “attention aware.” If you’re not looking at the phone attentively—that is, you’re looking away or engaged in an activity on the phone’s lock screen—it won’t perform an unlock operation. This awareness can be turned off by a user as an accessibility option. Apple says that Face ID can be used in a wide variety of lighting conditions, including dark rooms. 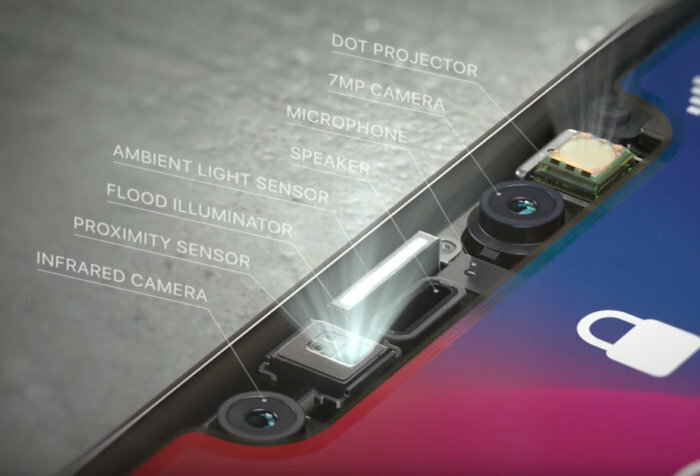 On one diagram of the iPhone X, Apple shows a “flood illuminator,” which conceivably provides infrared illumination in the dark to aid the TrueDepth system. No visible light is used, so the scan will be invisible in all lighting conditions. Face ID doesn't actually emit any light. The light you've seen in Apple's promotional materials is for illustrative purposes only. Apple’s description of enrollment and comparison is very similar to Touch ID. The enrollment sends data through a one-way channel to the Secure Enclave, a special tamper-resistant chip bound deeply inside the iPhone and iPad architecture that can only respond with limited information, such as confirming a match was made when unlocking for Apple Pay and the like. Secure Enclave also stores some other private information. As a result, Apple doesn’t collect this information and process it centrally, nor does it store it on the device in a manner that can be retrieved by cracking a phone, a phone backup, or intercepting information to and from it. However, the concern remains that, with proprietary technology under the control of Apple, a government could force changes that would pass or extract facial identification information, or perform comparisons with faces that a government is looking for. In the current hardware architecture, however, that seems unlikely. Apple has engineered its systems so that there’s no reasonable way to rework it to change the flow of facial (or, with Touch ID, fingerprint) information to a different source. It would have to create a whole new kind of phone and new firmware. Can someone fool Face ID? The answer should be no, based on the approach Apple has taken: number of data points, use of infrared scanning, and attention awareness. 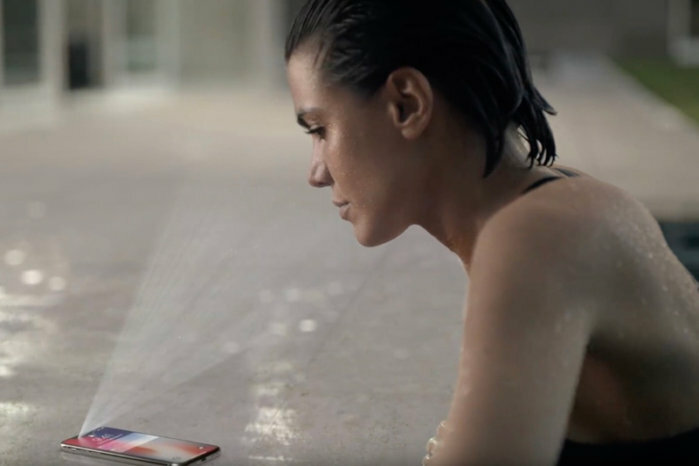 With other systems, people have used photographs, plaster models, and other approaches that Face ID would seemingly resist. A plaster model doesn’t offer the same reflection as a 100 percent identical human face, because infrared reflects off living skin differently than off an inanimate material. You can imagine that the second the phones hit the market, security researchers (and government agencies) will start testing ways to fool Face ID and that some will have limited success—which, for cases disclosed to Apple, will improve deterrence from those workarounds. Can Face ID be set up so that multiple people’s faces unlock the same iPhone? For now, an iPhone X will recognize only a single face. That could change in the future. But you can no longer give a spouse, partner, or other person access to your phone through a biometric means, like you could by enrolling one of their fingers with Touch ID. You’ll need to share a password with them. Will Face ID recognize people of color’s faces as well as white people’s faces? The kind of machine learning used widely now for voice, image, and other recognition relies on training databases. Companies or academic projects have to find often hundreds of millions to billions of examples that they can mark correctly to feed into a deep-learning system to have it develop the pathways that let it recognize features more generically instead of as exact matches. In its announcement and on its website, Apple features a number of people of color more in proportion with the global population than American or European ones in the Face ID and other TrueDepth sections, as well as showing heavily freckled faces and women with elaborate and enormous hair. It’s a marketing message, and it might be backed up by the technology and Federighi’s statement. Apple calls its hardware setup for Face ID the "TrueDepth Camera System." Is Face ID more annoying to use than Touch ID? That’s entirely subjective, but if you prefer to unlock your phone without paying much attention to it, and have gotten used to a smooth sequence of finger slip and touch and press to unlock without even looking at your phone, you might find Face ID much more irritating than Touch ID. Some people dislike the Touch ID sequence, and would prefer a different method that involves less interaction, and Face ID might be the ticket. Other phones have facial recognition and aren’t great at it. Will Face ID be better? 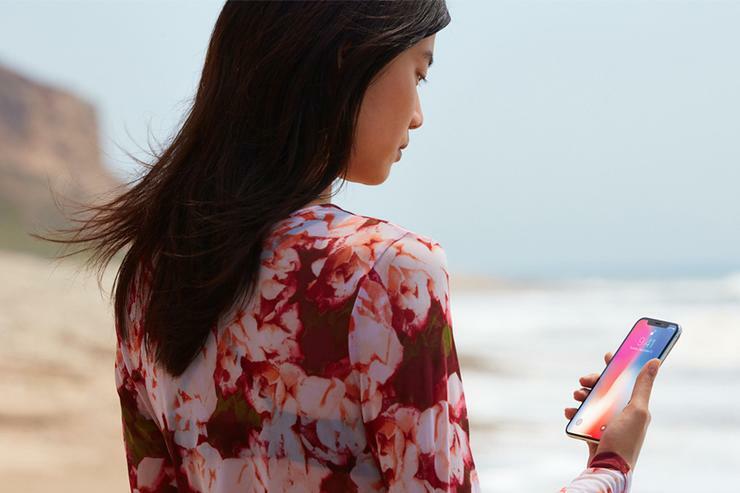 Until all-comers can start using Face ID, we can’t know whether or not it will perform up to the standards that Apple has set for widescale introduction of features other companies offer failed or weak versions of. Touch ID’s early days were generally good, but plenty of people—this writer included—had to regularly retrain fingers. Over time, that problem seems to have disappeared, as complaints are rare these days in forums in which they were once common. The real test is one of time: as you change make-up, glasses, and hair styles, and as our features tick away the passage of time, will Face ID keep up with us? Face ID appeared to fail for Apple exec Craig Federighi during the demo. Apple later said that because the demo unit was handled by a number of people between when Federighi trained it and the demo, it exceeded the bad-match limit, a security feature, and locked out Face ID as it was supposed to. No, you can use a passcode. You can use Settings in iOS 11 to disable it. You can power down your phone and restart it. You can make five failed attempts to unlock it. When can’t I use Face ID? After any 48-hour period in which you haven’t used Face ID to unlock the phone. Every six days, an eight-hour timer starts, and if you don’t use Face ID within those eight hours, you’re prompted for a passcode the next time you unlock. After five failed attempts to unlock with Face ID. After disabling using any technique above not already mentioned in this list.